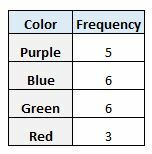 This tutorial explains how to create and work with frequency tables in R.
A frequency table is a table that shows how many times certain values occur in a data set. We can easily create a frequency table for any variable in a dataset in R using the built-in table() function. 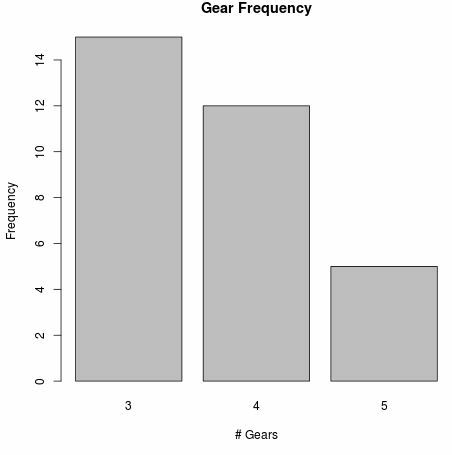 This frequency table tells us that three distinct values for gear appear in the dataset: 3, 4, 5. From the table, we can see that the value 3 occurs 15 times, 4 occurs 12 times, and 5 occurs 5 times. 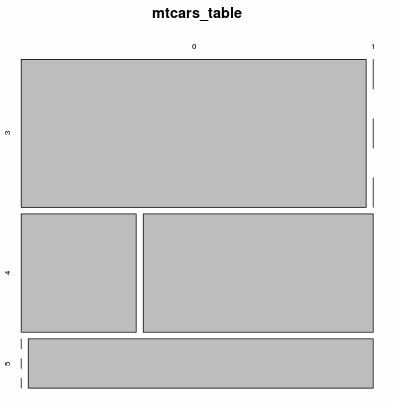 There are 15 cars in the dataset that have a value of 3 for gear and a value of 0 for am. 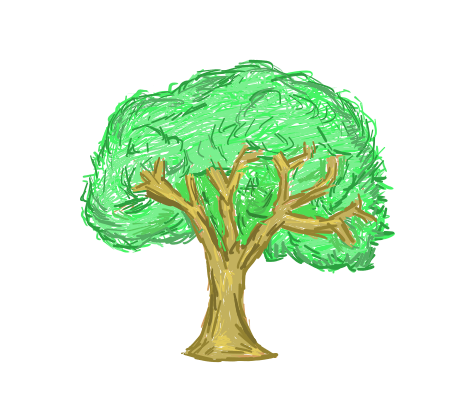 There are 4 cars in the dataset that have a value of 4 for gear and a value of 0 for am. Notice that the total values in the table add up to 32, which matches the total number of rows in the dataset. 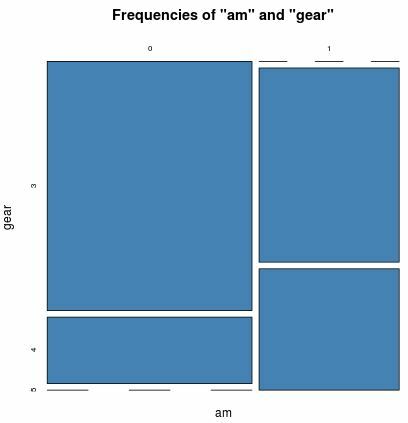 There are 12 cars in the dataset that have a value of 0 for am, a value of 0 for vs, and a value of 3 for gear. Notice that the total values in the table once again add up to 32, which matches the total number of rows in the dataset. 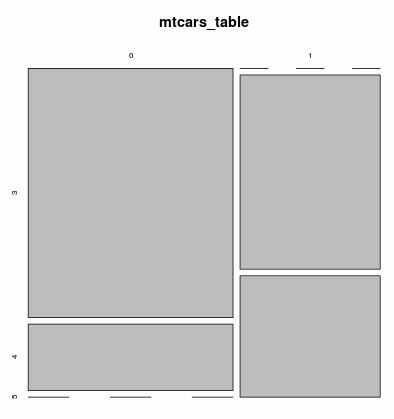 We can use the built-in R function prop.table() to create tables that show proportions. We can use the built-in R function margin.table() to create tables that show marginal frequencies. 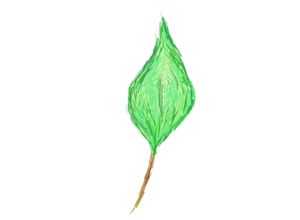 We can also conduct Fisher’s Exact Test using the fisher.test() function, which is used in place of a Chi Square Test in 2×2 tables when the sample sizes are small.